Due to corruption of Component Store located at the C:\Windows\WinSxS directory, the system files in your Windows 10 computer become corrupt, and the System File Checker tool (sfc /scannow) unable to recover them. 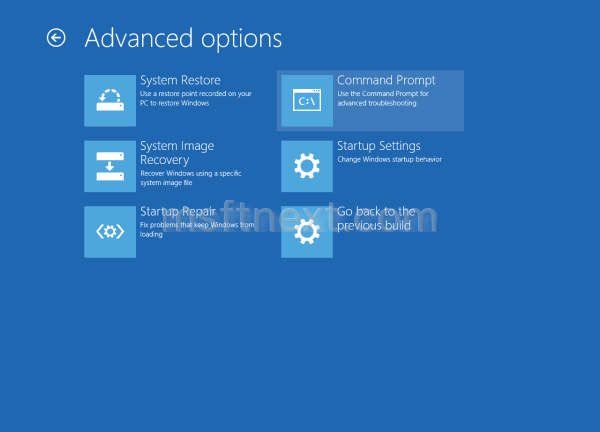 This article explains how to fix Windows 10 if it cannot be updated or if certain system components are damaged. Windows 10 inherited the boot options from Windows 8. It features a graphical environment for various recovery related tasks. There is a way to reboot the OS quickly and launch the troubleshooting options directly. This is very useful if you have some issue that you cannot fix in the regular Windows 10 environment.